The list of required ports for both a vCenter Server Appliance (VCSA) and Platform Services Controller (PSC) are pretty well documented here (6.5), here (6.0) and here (5.5) for customers who require this information to setup external connectivity within their networking infrastructure. Having said that, it is may not always be clear on what ports are actually opened as they will usually depend on the type of deployment and the services that are running. Instead, some customers have inquired about getting a list of all open ports directly from the VCSA/PSC to ensure they have the actual configuration which can be used to build firewall rules and/or for auditing purposes. You will notice in the output above, there is also a chain number on the far left side which is associated with each rule. This chain number can be used to inspect the rule further and some rules include a nice alias to help you identify what the port might be used for. 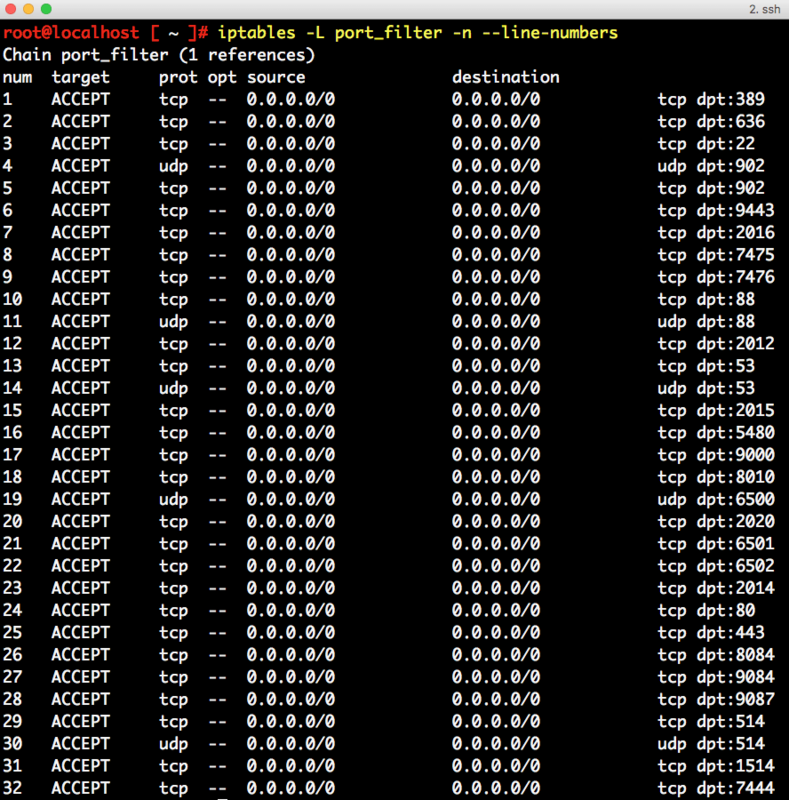 For example, we can run the following to inspect chain rule #30 and find out this port is being used for syslog. If we want the port number, we simply add the -n option. Not all of the firewall rules have an alias name and even if they do, it still may not be apparent on what service is opening that particular port. We can actually look at the firewall rule definitions which are located under /etc/vmware/appliance/firewall and you will see a JSON file for each of the VCSA/PSC services that require firewall rules to be opened up. 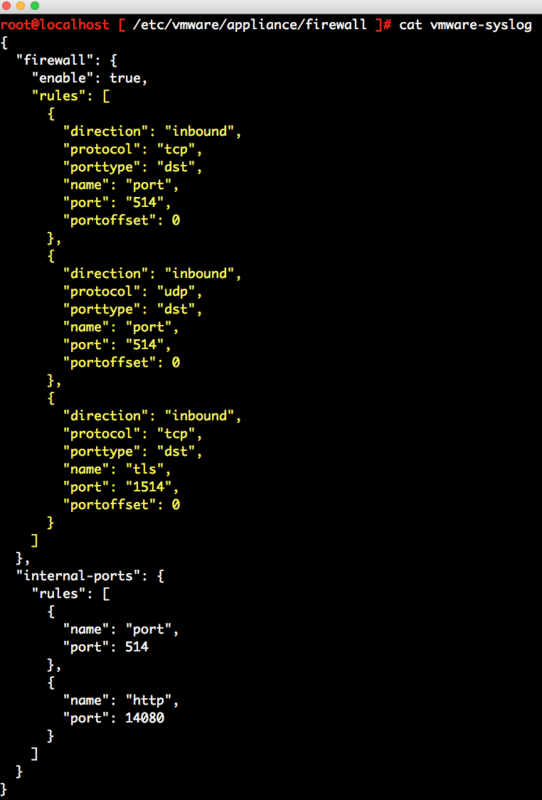 For a given port, you can just grep in this directory to identify the service that is requiring the port. For example, if we take a look at the vmware-syslog, we see that it requires tcp/udp 514 and tcp 1514 under the "rules" array which defines the list of external ports open. You can ignore the internal ports as those are not exposed to the outside world but used by internal services. In case the services are still not clear, you can always reference the port number back to the documentation which I had linked above to get more details about the particular port. A really useful capability that vCenter Server used to provide was a feature called vCenter Maps. I say "used to" because this feature was only available when using the vSphere C# Client and was not available in the vSphere Web Client. 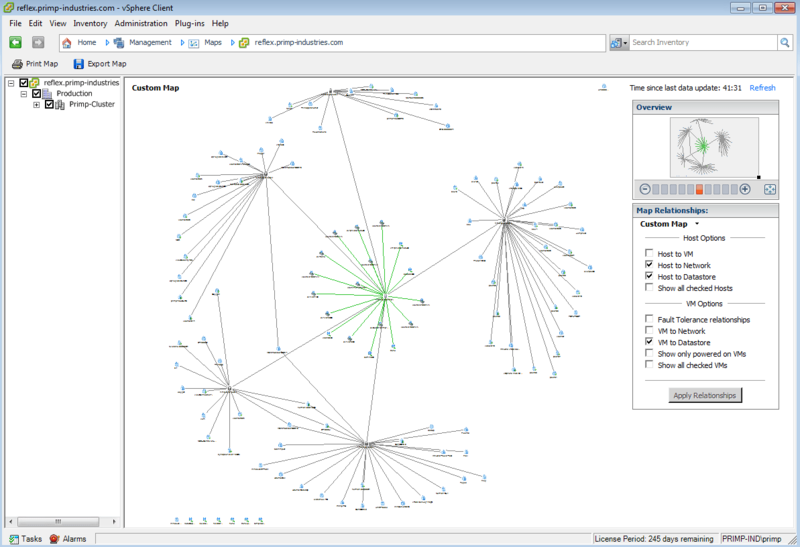 vCenter Maps provided a visual representation of your vCenter Server inventory along with the different relationships between your Virtual Machines, Hosts, Networks and Datastores. There were a variety of use cases for this feature but it was especially useful when it came to troubleshooting storage or networking connectivity. An administrator could quickly identify if they had an ESXi host that was not connected to the right datastore for example with just a few clicks. Although much of this information can be obtained either manually or programmatically using the vSphere API, the consumption of this data can sometimes be more effective when it is visualized. I was recently reminded of the vCenter Maps feature as I have seen an increase in discussions around the different vSphere 6.0 deployment topology options. This is an area where I think we could have leveraged visualizations to provide a better user experience to help our customers understand what they have deployed as it relates to install, upgrade and expansion of their vSphere environment. Today, this information is spread across a variety interfaces ranging from the vSphere Web Client (here and here) as well as across different CLIs (here and here) and there is nothing that aggregates all of this dispart information into an easy to consume manner. Collecting this information can also be challenging as you scale up the number of environments you are managing or dealing with complex deployments that can also span multiple sites. Well, this was a little side project I recently took up. 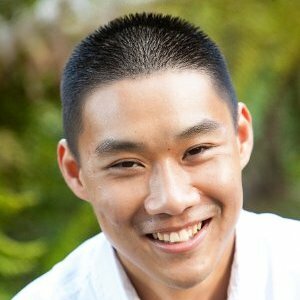 I have created a small python script called extract_vsphere_deployment_topology.py that can run on either a Windows Platform Services Controller (PSC) or a vCenter Server Appliance (VCSA) PSC and from that system extract the current vSphere deployment topology which includes details about the individual vCenter Servers, SSO Sites as well as the PSC replication agreements. The result of the script is outputted in the DOT format, a popular graph description language which can then be used to generate a diagram like the example shown below. Step 1 - Download the extract_vsphere_deployment_topology.py python script to either your Windows vCenter Server PSC or vCenter Server Appliance (VCSA) PSC. Step 3 - The script requires that you provide an SSO Administrator username and password. You can specify everything in the command-line or you omit the password in which you would then be prompted to enter. ./extract_vsphere_deployment_topology.py -u administrator@vghetto.local -p VMware1! python C:\Users\primp\Desktop\extract_vsphere_deployment_topology.py -u administrator@vsphere.local -p VMware1! Here is an example output from one of my environments. Step 4 - Save the output from the script and then open a browser that has internet access to the following URL: http://www.webgraphviz.com Paste the output and then click on the "Generate Graph" which will generate a visual diagram of your vSphere deployment. Hopefully it is pretty straight forward to understand and I have also colorized the nodes to represent the different functionality such as Blue for a vCenter Server and Green for Platform Services Controller. In addition, if you have deployed an Embedded vCenter Server which is replicating with an External PSC (which is considered a deprecated topology and will not be supported in the future), you will notice the node is colored Orange instead as seen in the example below. This is pretty cool if you ask me! 😀 Just imagine the possibilities if you could use such an interface to also manage operations across a given vSphere deployment when it comes to install, upgrade and expansion of your existing environment. What do you think, would this be useful? I have done a limited amount of testing across Windows and the VCSA using a couple of deployment scenarios. It is very possible that I could have missed something and if you are running into issues, it would be good to provide some details about your topology to help me further troubleshoot. I have not done any type of testing using load balancers, so it is very likely that the diagram may not be accurate for these scenarios but I would love to hear from folks if you have tried running the script in such environments. The ability to display a logon banner prior to logging into the vSphere Web Client UI is a new capability that was introduced with the release of vSphere 6.0 Update 2. In addition to the logon banner message, customers can also configure a mandatory consent check box requiring all users to accept prior to logging in. Below is a screenshot of the new logon banner in the vSphere Web Client, prior to login. Although there is currently not an API for administrating the various PSC configurations (being worked on for a future release of vSphere), it is still possible to automate the different aspects of the PSC. There are several options depending on your personal reference as well as environmental configurations. Option 1: Use the /opt/vmware/bin/sso-config.sh utility on the PSC itself which is the simplest method but it does require either SSH or local shell access. Option 2: Use the ldapmodify utility either locally on the PSC itself or from a remote system which I have previously written about here. Disclaimer: Please take extreme caution when connecting to the vmdird database. You should take extreme care in making changes while in the database else you can negatively impact your environment. In this example, I will be remotely connecting to the PSC from my desktop which is a Mac OS X system, but it can be any system which contains the ldapsearch and ldapmodify commands. /usr/bin/ldapsearch -h 192.168.1.140 -w 'VMware1!' -x -D "cn=Administrator,cn=Users,dc=vghetto,dc=local" -b "cn=Tenants,cn=IdentityManager,cn=Services,dc=vghetto,dc=local" -s sub "objectclass=vmwSTSTenant"
If you are interested in automating other aspects of the PSC admin configurations, be sure to check out these two articles here and here.